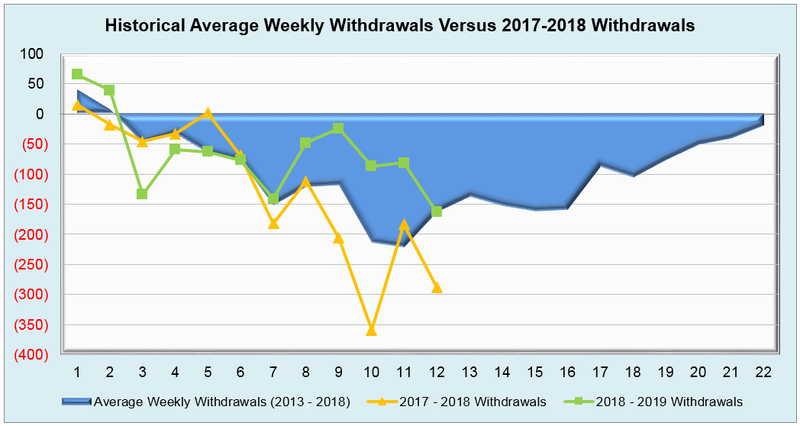 This week’s mostly neutral withdrawal of 163 Bcf from storage came nowhere close to last year’s pull of 273 Bcf and the five-year average of 185 Bcf for the same time period. 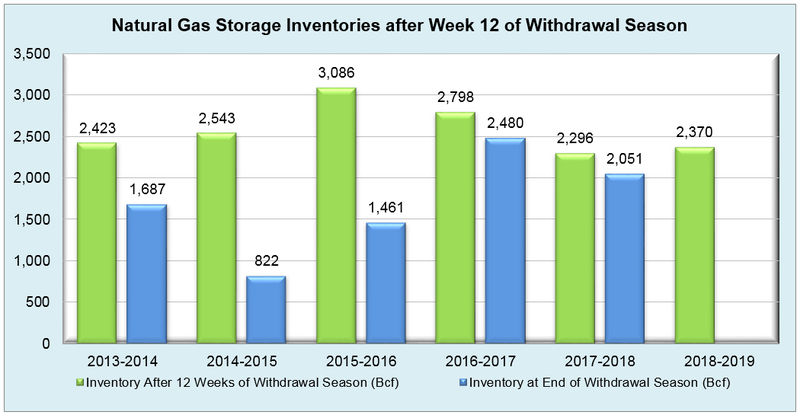 That being said, the continued pattern of lighter than projected draws over the past few weeks has resulted in current inventories finally surpassing last year’s working storage for the first time in months, but the five-year average still sits about 11% higher than the present inventories of working gas. 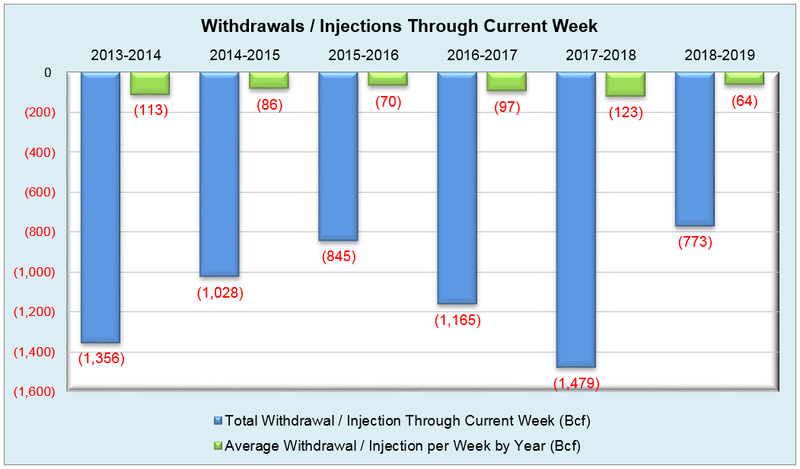 Weather was mostly supportive of the light withdrawal, even with the colder than normal Midwest and East regions comprising just over two-thirds of the 163 Bcf draw. 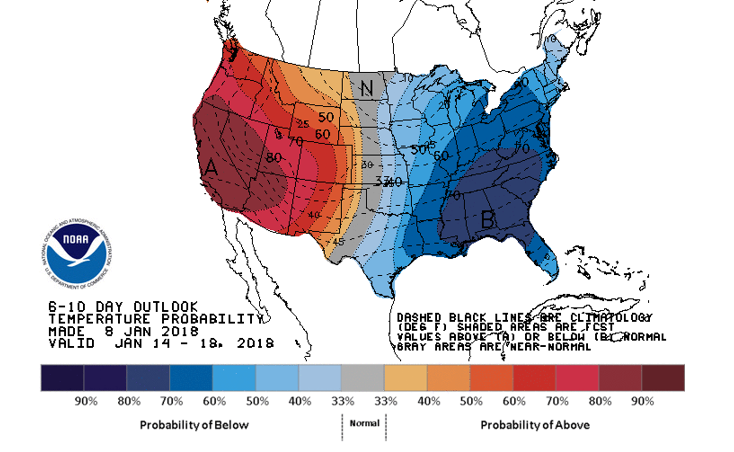 The next two weeks will be important in determining end of season storage values, as a polar blast is shown to arrive between January 29th and February 3rd, followed by a brief warm spell from February 4th to the 7th, then another frigid pattern after that. 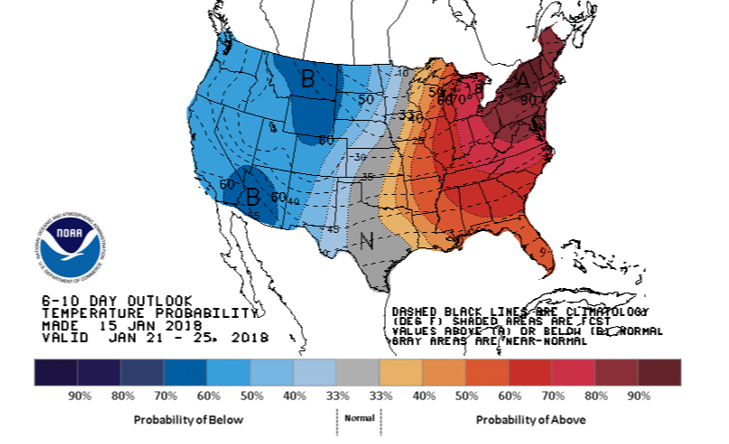 NYMEX futures on the prompt month will more than likely continue to see the same swings it’s been experiencing for the past three months, and while the heart of winter has passed, there’s still a possibility for upward momentum as we head into February. 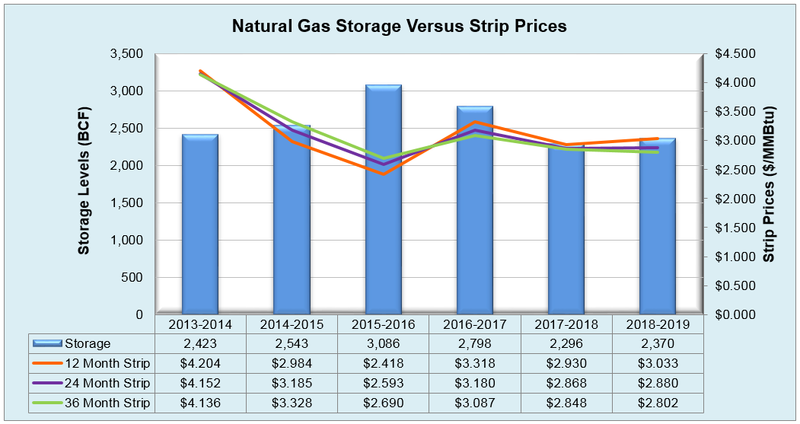 Working natural gas in storage currently stands at 2,370 Bcf, which is 33 Bcf (1.4%) higher than this time last year and 305 Bcf (11.4%) lower than the five-year average. The February 2019 NYMEX Futures price began the day around $3.09/MMBtu prior to the report’s release, but has since risen to $3.13/MMBtu after the report was posted.